Does the TRX presage a Jeep Trackhawk Hellcat? The Ram TRX is the first publicly-shown vehicle that hooks up the Hellcat engine to a four wheel drive system. It dropped down to 575 hp, but that’s a hundred horsepower more than the 6.4 Hemi and even further above the Ford Raptor. A Hellcat-powered Jeep Grand Cherokee Trackhawk has been rumored since before the Hellcat was even shown to the public. Insiders said that FCA leaders were concerned the engine be too loud or uncouth for the refined Grand Cherokee, and that the cost would be too high. The supercharged Hemi turned out to be relatively quiet, and easily controllable — surprisingly so, in fact. It might be hard to whip it around corners at speed in the big Jeep, but at least it’ll be possible to drive it gently. That left durability, and the TRX is our first look at how that’s being handled. Dialed down to 575 horsepower, it seems to be compatible with many factory parts. The differentials are possible issues; so is the full time AWD transfer case. The TRX uses a part-time Borg-Warner 44-45; there is a full-time B-W 44-44, but Jeep already uses the formerly-New-Venture-now-Magna MP3010 on its SRT. Can full time four wheel drive work with 575 horsepower, while still fitting into the Grand Cherokee? There are still many questions, but sources have told Allpar that there are Grand Cherokee Hellcat mules running around, and that the Hellcat would be detuned for the purpose. Whether they turn out to be “commercial” — practical for commercial sale — is still up in the air. 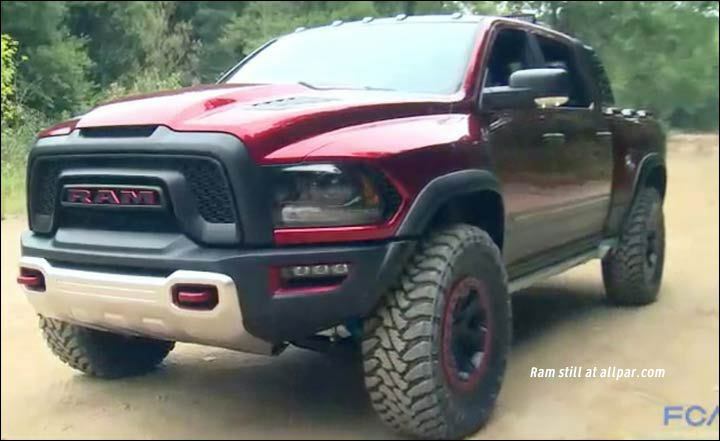 See the Ram 1500 Rebel TRX. Automotive News has published a surprisingly detailed piece on the 2019 Ram 1500 launch. The industry weekly claimed that the “DT” series pickups, essentially to FCA US profits, are right on schedule for production at the end of January 2018. These will be the first pickups ever to be made in the Sterling Heights Assembly plant, which has made midsized cars for years. The conversion from car to truck assembly will take months. According to writer Larry Vellequette, to speed the launch, some engineers have been given full power of decision, rather than having to bump nearly everything up to higher-level managers. Other launches continue to use the more cumbersome, Daimler-like approach. Still, the first prototypes built at Sterling Heights will be made in early January 2018, three months after the original schedule, which could mean delays if any problems are found. According to Mr. Vellequette’s sources, the Ram will continue to use steel for most of its body panels, and will keep essentially the same look, with smaller headlights integrated into the grille and horizontal fog lights built into the bumper. The interior is to have a new center console for more storage space. 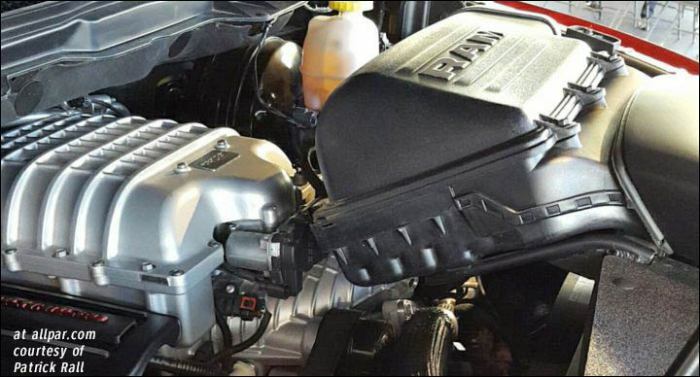 Both Allpar and Automotive News believe this will be the Ram to finally have direct-injection V6 engines and belt-start generators for higher-performance stop-start systems. A turbocharged V6 is possible, as well. The empowered-engineer approach should improve relations with suppliers, as Automotive News noted, because suppliers can get answers or needed changes much more quickly. When this approach was used in 1990s, it also slashed costs and in some cases increased quality. See more on the 2019 Ram 1500. Over the weekend, the 2018 Jeep Compass was revealed, as a photo shoot in Brazil was captured by local media. Jeep will show two special editions at the Los Angeles Auto Show: the 2016 Grand Cherokee SRT Night and the 2016 Jeep Wrangler Backcountry. The Jeep Grand Cherokee SRT Night, due in the first quarter of 2016, adds a black roof, lightweight performance wheels, and other touches, while the Wrangler Backcountry, coming late this November, is winter-themed. In addition to the black roof, the Jeep Grand Cherokee SRT Night will have a gloss-black rear spoiler, front grille bezels, B and C pillars, and side window surrounds, with a satin-black front appliqué, hood and rear liftgate badges, and split five-spoke “5Ten” 20-inch wheels (which reveal red Brembo brake calipers). Inside, the Night comes with black Laguna leather with Silver accent stitching and metallic black bezels. Colors are Velvet Red, Billet Silver, and Granite Crystal. As with any Grand Cherokee SRT, the Night has a 6.4-liter V-8 engine with 475 horsepower and 470 lb.-ft. of torque, an adaptive damping suspension, and a Selec-Track Traction Control system; and can do 0-60 mph in 4.8 seconds. The Jeep Wrangler Backcountry is based on the Wrangler Sahara, and has decals on the front fender and rear quarter panel, front and rear powder coated bumpers, 17-inch Rubicon wheels painted in mildly glossy black, and a black fuel fill door; it has Rubicon rock rails with no-charge-optional Sahara side steps. A black hard top is standard but a body color hard top is optional. Colors are Hydro Blue, Black, Bright White, Granite Crystal, and Xtreme Purple, a color unique (within the Wrangler range) to Backcountry. The interior has glossy black vent rings, door handles, and grab handles, with black leather seat bolsters and mesh inserts. The console lid and door armrests have light gray accent stitching. Rounding off the package are a nine-speaker premium Alpine sound system, all-weather slush mats, and the Bluetooth hands-free Connectivity Group.